Write more and often. This is an click here Open Thread. This is your morning http://maientertainmentlaw.com/?search=puchase-finasteride-from-online-drugstore Open Thread. Pour your favorite beverage and review the past and comment on the future. Find the past watch “On This Day in History” here. On this day in 1775, the American Revolution beginsAt about 5 a.m., 700 British troops, on a mission to capture Patriot leaders and seize a Patriot arsenal, march into Lexington to find 77 armed minutemen under Captain John Parker waiting for them on the town’s common green. 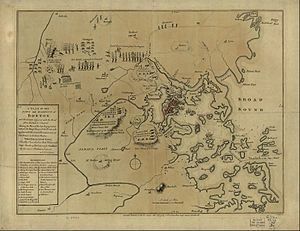 British Major John Pitcairn ordered the outnumbered Patriots to disperse, and after a moment’s hesitation the Americans began to drift off the green. Suddenly, the “shot heard around the world” was fired from an undetermined gun, and a cloud of musket smoke soon covered the green. When the brief Battle of Lexington ended, eight Americans lay dead or dying and 10 others were wounded. Only one British soldier was injured, but the American Revolution had begun. A British officer, probably Pitcairn, but accounts are uncertain, as it may also have been Lieutenant William Sutherland, then rode forward, waving his sword, and called out for the assembled throng to disperse, and may also have ordered them to “lay down your arms, you damned rebels!” Captain Parker told his men instead to disperse and go home, but, because of the confusion, the yelling all around, and due to the raspiness of Parker’s tubercular voice, some did not hear him, some left very slowly, and none laid down their arms. Both Parker and Pitcairn ordered their men to hold fire, but a shot was fired from an unknown source. Nobody except the person responsible knew then, nor knows today with certainty, who fired the first shot of the American Revolution. All public transport has been suspended including buses and subways in the Massachusetts Bay area – Boston and the surrounding areas – it was announced. People at stations were asked to “please go home” and not congregate waiting for the system to come back. The authorities want the residents of Watertown, Newton, Waltham, Bellamont, Cambridge, and the Austin and Brighton neighbourhoods of Boston to stay indoors for the time being. They are also asking businesses there not to open. The person who was identified as suspect #1 came into the hospital in “traumatic arrest” and was pronounced dead at 01:35 EDT. He died of multiple gunshot wounds and blast injuries. Suspect #2 is still at large. He is considered armed and extremely dangerous. Up Date 04:57 EDT: The Guardian is reporting that one of the suspects was shot and killed as per police at a news conference. The other is still at large. A shooting late last night on the campus of MIT that left a campus police officer dead and a shoot out in Watertown, MA with explosions, may be related to the deadly bombing at the Boston Marathon. The FBI released photos of two suspects in that case. There are a lot of conflicting reports that about these two incidents and whether or not they are related to each other or the marathon explosions. There is one person in custody but it is unknown if this person one of the suspects. WATERTOWN, MA – One suspect in Monday’s Boston Marathon bombings has been captured, according to an official with knowledge of the investigation. Another remains on the loose in Watertown after a firefight with police. Authorities have established a 20-block perimeter as they search for him. Authorities would not comment on whether the events were connected to Monday’s Boston Marathon bombings. At least one of the suspects in Watertown appeared to be a man in his 20s. Here is the live feed from MSNBC. The commentators are being very cautious in their reporting. Here is the live feed from The Guardian. Law enforcement officials believe that one suspect in Monday’s bombing of the Boston Marathon was killed Friday morning after a shootout and car chase with police, while the other is still on the loose. NBC’s Pete Williams reports that the two are brothers, age 19 and 20, and are legal permanent residents of the United States, living in Cambridge. The first suspect was taken into custody by police and was pronounced dead at Beth Israel Hospital at 1:35 AM. As many as nine thousand police officers are now conducting a door-to-door search for the second individual, Dzhokhar Tsarnaev according to NBC, and are asking residents to stay in their homes. The two robbed a 7/11, killed a Massachusetts Institute of Technology (MIT) campus police officer in his car after 10 PM on Thursday night and later carjacked a Mercedes SUV. Pete Williams of NBC News reports that the suspects told the man that they killed a police officer and were the marathon bombers. The owner of the car was held at gunpoint for 30 minutes and later released near a gas station in Cambridge. The men then led police on a chase to Watertown, where they exchanged gunfire and threw bombs out of the vehicle window at law enforcement, including one made from a pressure cooker. They stopped the car in Watertown, where the first suspect got out, was shot and likely detonated an improvised explosive device (IED) strapped to his chest. The second suspect drives on and later abandons the car. Parts 2 – 4 below the fold. Within seconds of the two blasts that ended the Boston Marathon, doctors and emergency personnel were faced with decisions that are only usually made in combat, life or limb. Confronted with horrific lower extremity injuries the life saving device that was used over and over was the tourniquet. Around for millennia but fallen into disfavor years ago, tourniquets were only to be used as a last resort to stop life threatening bleeding from a limb when direct pressure, elevation and pressure above the wound did not work. The common belief was that the prolonged cutting off the blood to the limb would lead to amputation. The problem was that there were no good studies to prove it. So up until recently the tourniquet was a last resort. Then along came the wars in the Middle East. Studies showed there that the timely use of a tourniquet resulted in survival rates as high as 90 percent. Contrary to past fears, the tourniquets themselves didn’t cause any limb loss, even in the rare cases when patients had to keep them on for two to three hours. Considering that blood loss is the leading cause of death in a trauma patient and a person can bleed to death in three minutes from a severed femoral artery, the large blood vessel in the upper leg, the choice is simple. Every paramedic is now trained to apply a tourniquet. Since 2006, a tourniquet is issued to every soldier. First, apply direct pressure with your hand or a cloth. Don’t worry about clean, at this point it doesn’t matter. If you’re not alone have someone call 911. If you are alone do it first, you can always put the phone down and yell into it while you’re applying pressure. Elevate the extremity if possible. If you’re unable to control the bleeding quickly, or the injury is really big, or an partial or full amputation, then you need a tourniquet. Find something long, strong and pliable. Shirts, pants, something that can be torn onto a long strip; belts (Should be at least 1 1/2 inches wide). Place the tourniquet around the arm or leg between the wound and the heart. Tie a half-knot – the same as the first part of the knot when you tie a shoe, but have not finished the knot. Place a strong stick on top of the half knot. Anything long and rigid will do, improvise. If at home, a large serving spoon or kitchen utensil; in the workshop a screw driver; a pen, pencil, you get the idea. Tie a full knot over the stick. Twist the stick until the material is tight around the limb and/or the bright red bleeding has stopped. If you have enough length, loop the loose ends of the tourniquet over the ends of the stick. Bring the ends around the arm or leg and tie the ends together around the limb. This is so that the tourniquet cannot loosen. Or, tie other material around to hold the stick. Belts of course can be pulled as tight as needed to stop the bleeding but you may be “married” to holding it tight until help arrives, if it can’t be secured so it won’t come loose. Outside a controlled hospital setting, this is called damage control, or how to save a life. While we were mostly fixed on the aftermath of explosion at the Boston Marathon, a non-partisan 11-member panel, that had been convened by the legal research and advocacy group, Constitution Project to look into the treatment of detainees after 9/11, released a 577 page report (pdf) on Tuesday. Finding #1: U.S. forces, in many instances, used interrogation techniques on detainees that constitute torture. American personnel conducted an even larger number of interrogations that involved “cruel, inhuman, or degrading” treatment. Both categories of actions violate U.S. laws and international treaties. Such conduct was directly counter to values of the Constitution and our nation. Finding #2: The nation’s most senior officials, through some of their actions and failures to act in the months and years immediately following the September 11 attacks, bear ultimate responsibility for allowing and contributing to the spread of illegal and improper interrogation techniques used by some U.S. personnel on detainees in several theaters. Responsibility also falls on other government officials and certain military leaders. Finding #3: There is no firm or persuasive evidence that the widespread use of harsh interrogation techniques by U.S. forces produced significant information of value. There is substantial evidence that much of the information adduced from the use of such techniques was not useful or reliable. Finding #16: For detainee hunger strikers, DOD operating procedures called for practices and actions by medical professionals that were contrary to established medical and professional ethical standards, including improper coercive involuntary feedings early in the course of hunger strikes that, when resisted, were accomplished by physically forced nasogastric tube feedings of detainees who were completely restrained. Finding #19: The high level of secrecy surrounding the rendition and torture of detainees since September 11 cannot continue to be justified on the basis of national security. Finding #21: The Convention Against Torture requires each state party to “[c]riminalize all acts of torture, attempts to commit torture, or complicity or participation in torture,” and “proceed to a prompt and impartial investigation, wherever there is reasonable ground to believe that an act of torture has been committed in any territory under its jurisdiction.” The United States cannot be said to have complied with this requirement. The panel was formed after Pres. Barack Obama decided in 2009 not to support a national commission to investigate the post-9/11 counterterrorism programs, as proposed by Senator Patrick J. Leahy (D-VT) and others. “Look forward, not backward”, the president said. included former Senator Asa Hutchinson (R-AL), who served in President George W. Bush’s administration from 2003-2005 as the Under Secretary for Border and Transportation Security in the Department of Homeland Security, and former Representative James Jones (D-OK) who served as the U.S. Ambassador to Mexico from 1993-1997. Among the other members were a three-star general and former president of the American Bar Association. Laura Pitter, counterterrorism adviser at Human Rights Watch, joined Democracy Now‘s Amy Goodman and Nermeen Shaikh to discuss the report,s “indisputable” evidence that the Bush administration tortured. In short: it was torture, it was illegal, it was not valuable, and it still needs to be prosecuted. Instead, The Justice Department instead chose to prosecute Central Intelligence Agency (CIA) whistleblower John Kiriakou, who refused to participate in torture and helped exposed the torture program. Mr. Kiriakou was sentenced to prison while the torturers he exposed walk free. Nice job, Barack.